Since the early 1900s, the Paganella has been attracting the first skiers-mountaineers, and has now become one of the most famous winter resorts in the Dolomites. 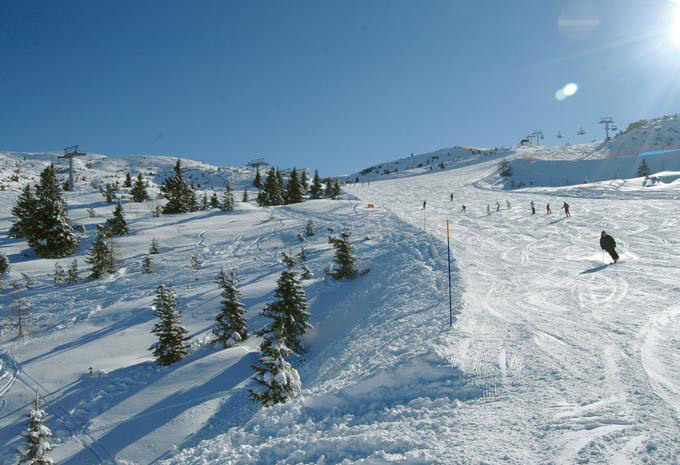 With over 50 kilometers of slopes of varying difficulties, Paganella offers skiers of all level the right challenge: skiers and snowboarders will find 10 blue slopes, 13 red and one black, plus a full fledged snowpark for practicing tricks. More than 100 ski instructors are available to those who wish to start practicing these disciplines, or better theyr technique. The Paganella is easily reached with lifts from both Andalo and Fai della Paganella, and is well connected to the main arteries of traffic, such as the A22 highway. 17 lifts climb their way up the mountain from Andalo and Fai della Paganella, all accessible with one single skipass. 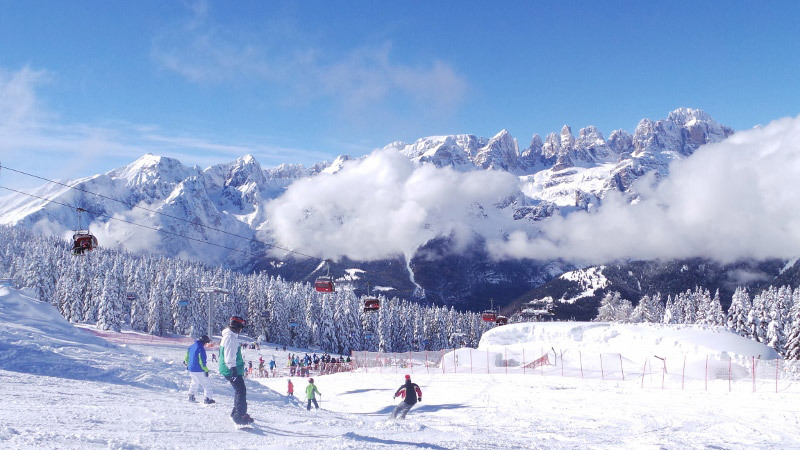 The Paganella Ski area belongs to the larger Skirama Dolomiti, the largest skiing resort in Trentino, comprising Monte Bondone, Folgaria, Madonna di Campiglio, Pinzolo, Folgarida-Marilleva, Passo Tonale e Pejo, and all these ski areas can be accessed with one single Combi or Superskirama skipass. Since 2015, the Paganella Ski Area introduced ski nights, where lifts and slopes will be open at night also! To those who need a little extra beside the skiing, remember to check out the numerous refuges found on the Paganella, each one ready to delight you with local food and wine between a slope and the other! In recent years, Andalo has become the european base of training for both the UsSkiTeam of Ted Ligety and Bode Miller and the Norwegian National men Team led by Aksel Lund Svindal, who have prepared on the slopes of Paganella for their race season. Training is not only what Paganella is about, as the Olimpionica 2 host every year two Super Slalom descents valid for the Women European Cup. In addition, every year, a few days before Christmas the Alpine Rock Festival takes place, with a direct elimination race which attracts every year both champions and ski aficionados alike.